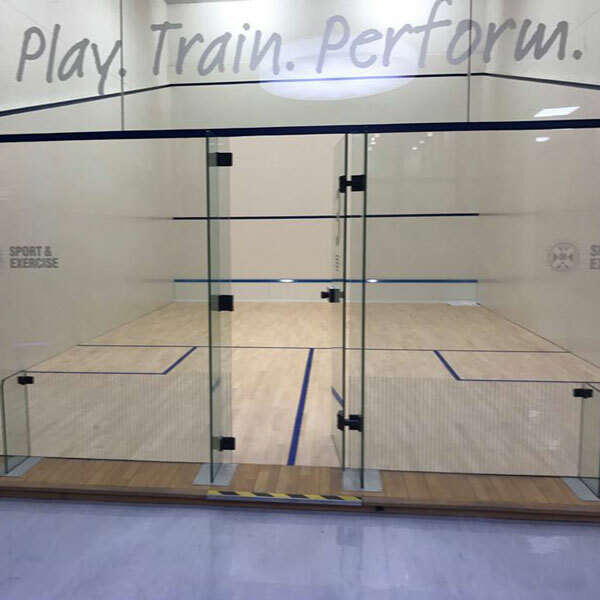 The ASB 40 Renovation walls are designed to overcome plaster and concrete squash walls where repairs have become either too expensive or too frequent, and the system is ideally suited to the UK market where we have more plastered courts than anywhere else. Either due to poor application originally, or faulty brick work, plaster repairs are rarely a long-term solution. Instead, a sand filled cladding system is an ideal solution, providing a perfectly flat and true playing surface, with no visible joints, and is guaranteed for years to come. At only 40mm total thickness, courts still comply to WSF recommendations, and the composite sand and panel also help provide an insulated layer for increased court warmth. CourtCare has installed hundreds of walls throughout the UK and Ireland, so there will be a reference site near you to see for yourselves.